"Classic Christmas" Collection is stuffed full of creating possibilities in traditional Christmas colours. The elegant look and feel of this kit will make your Christmas creating so fun and easy....the hard part will be choosing what to use first! Colourful poinsettias, gracefully swooping Christmas trees and refined labels only touch on a small amount of what this Christmas kit has to offer. 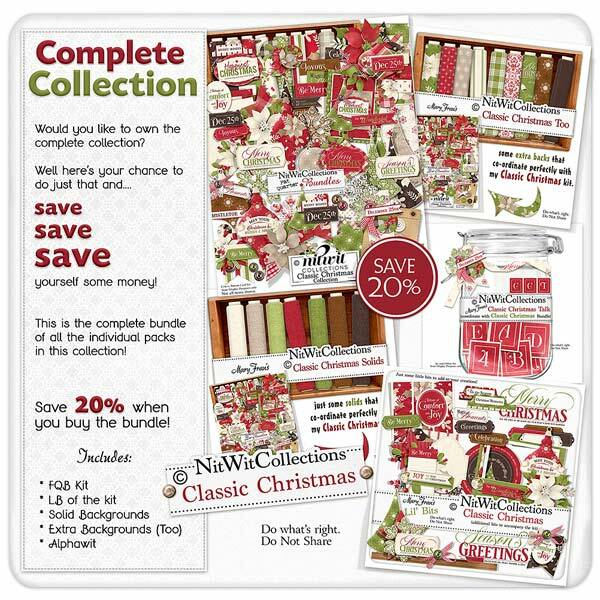 Creating your Christmas cards, scrapbook layouts and mini albums has found its 2018 kit of choice....and now to get crafting!